Background: The purpose of this study was to assess the usefulness of personality dimensions measured at ages 6 and 10 years in predicting early onset of cigarette smoking, alcohol abuse, and other drug use in boys. In addition, the stability of the prediction between the measurements at ages 6 and 10 years was investigated. Methods: Data from a large longitudinal study of boys were used to assess the relation between childhood personality and the onset of substance use from 10 to 15 years of age. Childhood personalities were assessed by teachers' ratings of behaviors. Self-reports of smoking cigarettes, getting drunk, and using other drugs provided the measurement of substance use. Discrete-time survival analysis was used for the statistical analyses. Results: High novelty-seeking and low harm avoidance significantly predict early onset of substance use (eg, cigarettes, alcohol, and other drugs), but reward dependence was unrelated to any of the outcomes studied. 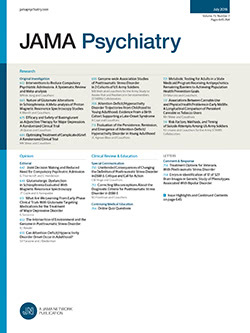 The results also indicated that either set of predictors (ie, the personality dimensions measured at ages 6 and 10 years) could be used to predict onset of cigarette smoking, getting drunk, and other drug use, because the power of prediction was similar between the measurements at ages 6 and 10 years. Conclusions: High novelty-seeking and low harm avoidance lead to early onset of substance use in boys. The stability of the prediction between ages 6 and 10 years suggests that the kindergarten assessments may be used for preventive efforts at school entry instead of waiting until early adolescence.